_This years tournament was another great success, with some exciting chess being played in all sections, and some very close finishes in the team tournament. The day raised £332.50 for SSAFA, and a big thankyou to John Royle MBE who accepted the cheque on behalf of SSAFA, as well as presenting trophies to the winners. Many thanks also to Kate French, the head of Ruskin Junior School, for the continued use of the school, not just for the SSAFA tournament, but also for many of our County training sessions that we hold there during the year. The full results of the day can be found by clicking here. To find out more about the wonderful work that SSAFA does click here. _Many congratulations to Owen Robinson and Seth Tsang, who both managed to qualify for the Terafinal by scoring 5 out of 6 at the recent Northern Gigafinal. 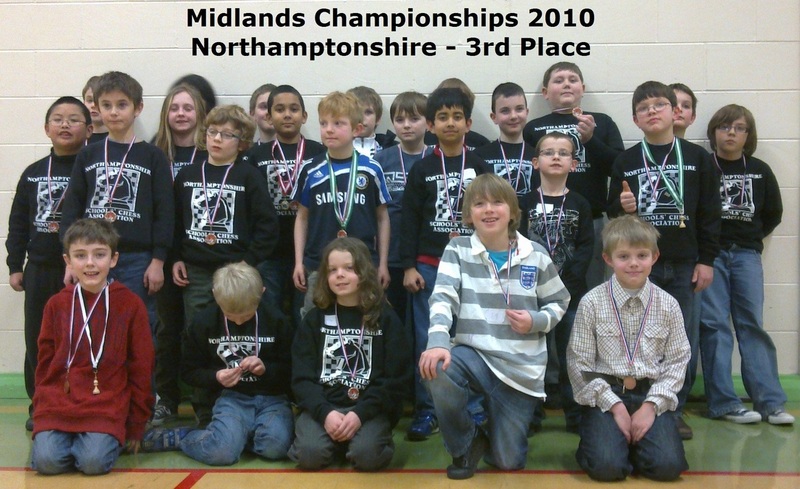 Overall Northants were represented by 13 players across the age groups. In the under 7s were Connor Arthurs and Pacey Gwynne, with Connor finishing 4th equal. In the under 9s we had Joshua Owen. 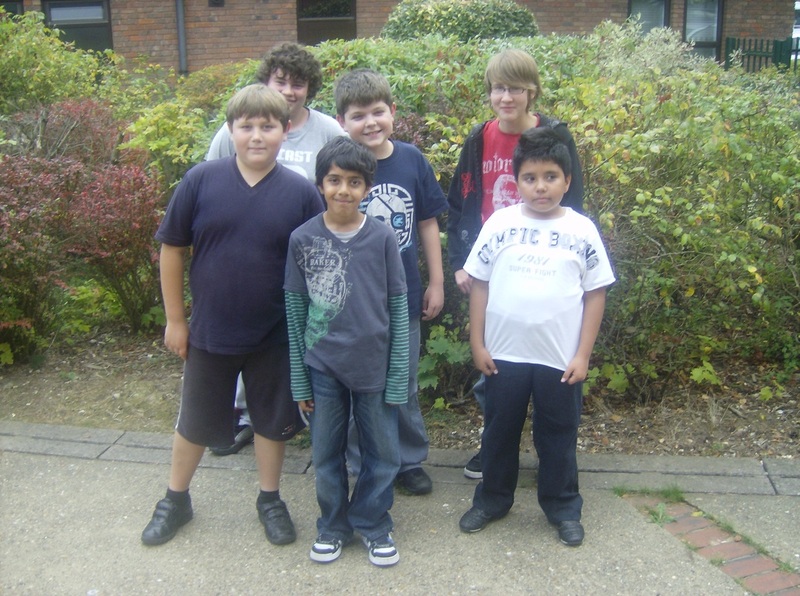 In the under 10s Seth Tsang, James Virtue, Zachary Rogers, Curtis Allen, and Sam Smith. And in the under 11s Owen Robinson, Kyle Patel, Samuel Herring, Matthew Thompson, and Thomas Arthurs all put on a good show for the county - well done everybody. To see all the Gigafinal scores in more detail Click Here. _We are very pleased to announce that the NSCA have been successful in making this autumns Junior Chess Congress a qualifying event for the London Junior Chess Championships. Our competition will take place on 20th November 2010, and those scoring sufficiantly will then play in their respective competitions during December. For further details of the LJCC tournament and scores required to qualify Click Here. The LJCC is one of the tournaments that EPSCA use for qualification for an England trial, and that the ECF also use for England qualification, so we are very proud to have secured our place on the list of qualifying tournaments. For further details of all the tournaments that EPSCA and the ECF use for England qualification purposes Click Here. _Following on from their successes earlier in the year in the local zone of the Championships, Laxton Junior and Redwell Junior have both been participating in semi-finals of the National Primary Schools Chess Championships. For the weekend of 15th/16th May Laxton travelled to Brean Sands near Weston-Super-Mare in Somerset, and scored 19 points, resulting in 3rd place out of 10 teams. Then on the weekend of 19th/20th June Redwell travelled to Prestatyn in North Wales, and scored 17.5 points, resulting in 10th place out of a field of 34 teams. Congratulations to all those involved - showing the rest of the country that Northants Schools can mix it with the best of them! _The Rockingham area Megafinal took place in Loughborough on Sunday 23rd May, and Northants had a substantial contingent in attendance. Everybody played well, and despite a few dubious adjudication decisions many of the players qualified for the Gigafinal, with 3 of our players becoming the Supremo in their section. As soon as the full results of the day are available I will post a link to the relevant website. Our congratulations go to Leah Mitchell, who has been invited to attend a National Junior Squad training weekend in January, where International Master Andrew Martin, the Junior Squad coach, will be giving his help and advice. Well done to everybody who played in the very successful Youth Congress, rearranged from January. There was a very good turn out, with over 100 competitors, and despite the chilly playing room some very good chess took place. For photographs and a list of winners go to the "Latest NSCA Results" page, or simply click here. _Whilst we were hosting our Youth Congress, those teams that qualified from our zonal held back in March, along with the best teams from the south and the north, were battling it out in Bolton to see who would win the final. Kent, who were second in our zonal, were second again, but this time to our close rivals Nottinghamshire. It was another very close finish, with Notts finally coming out on top by just half a point. For a full list of the results, visit the EPSCA website, or click here. _This year's competition moved south from Liverpool to Wolverhampton, and Northants continued their recent trend of being well represented at top national tournaments with Seth Tsang in the under 10 section, Marcus Rose and Owen Robinson in the under 12 section, and, due to the change of age calculation dates, William Knight had to move up to the under 16 section. The tournament took place at the Royal Wolverhampton School, and with most of the top players in the country taking time out from their Easter breaks to attend, the standard was very high and the opponents very tough, but Seth managed 2 points, Marcus 3.5 points, Owen 1.5 points, and William 2.5 points. Well done to all four players. A full list of the results should soon be available on the Junior Squad website, which can be found at www.ncjs.co.uk. A link to this site has also been added to the Useful Chess Links page. Good luck from everybody at NSCA to Owen who will now go on and play in this years England trial in Liverpool on April 24th/25th to try and qualify for the England Junior Squad. _On Saturday 20th March we hosted the Eastern Zone of this years EPSCA Under 11 championships, from which the first 5 teams qualify for the Finals in Manchester. Unfortunately after a promising start we had a rather disappointing second round, and by the end of the competition we finished in 8th place. Well done to all those that played in this difficult competition, and special congratulations to Edmund Corker who was our only undefeated player on the day. Also to Nazmul Islam, Harry Bowman and Zachary Rogers who each scored 2 out of 3, and to James Walker, who was our only player to take a point from either Barnet or Kent when he won his first game of the day against his Barnet opponent. Many thanks to all the players (and all their parents) for giving their best for Northants. For details of all three zonal competitions click here. _Many congratulations to Laxton Junior School and Redwell Junior School who finished first and second in the under 11 section of Zone 16 of the National Primary Schools Chess Championships at Great Houghton School on Sunday 28th February, and hence now qualify for the semi-finals. Good luck to both teams. Full results of all zones can be found by clicking here. _Our congratulations go to Marcus Rose who, through a very good result at the recent West of England Championships, has been invited to join the England Junior Squad. Marcus had tried to qualify for the squad for the past two seasons, so it's been third time lucky ! The county was also represented in the under 12 championships by Owen Robinson and Seth Tsang, and all three players seemed to have a very enjoyable weekend, even though the level of competition was extremely high and the games very tough. 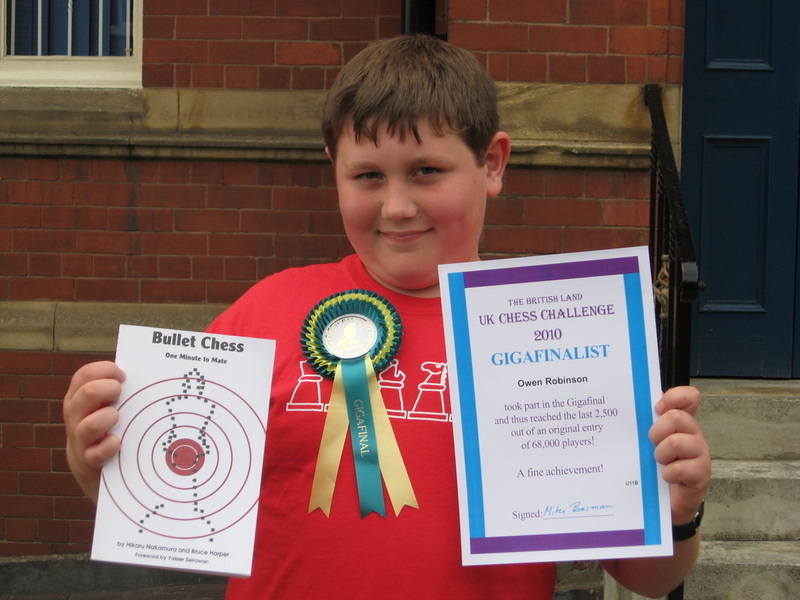 Meanwhile, in the Minor section, the winner was Ben Jackson with a perfect 6 !!! Everybody played their part in a great day in Nottingham. Well done to all. On Sunday 24th January the Barnet Knights successfully held their Individual Championships, and Northants were very well represented by Seth Tsang, Owen Robinson and Harry Bowman. 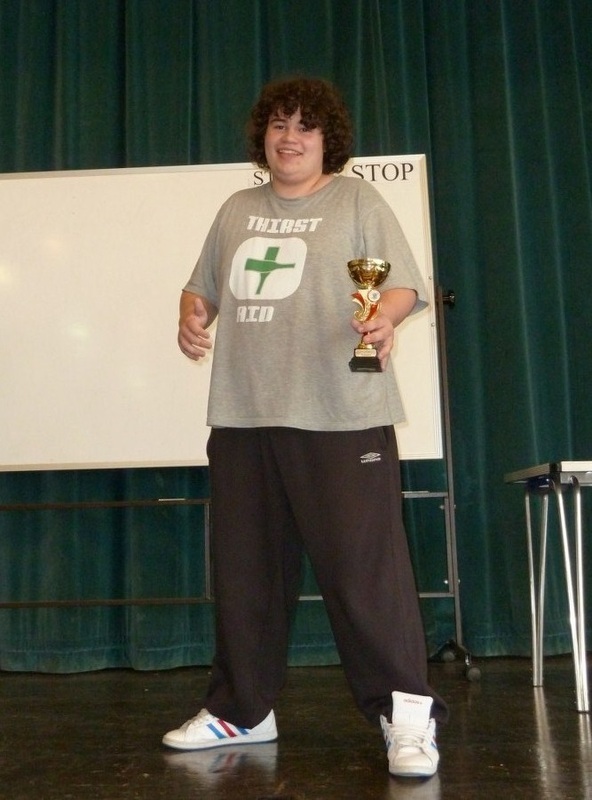 There were 46 competitors, and Seth won the title, with a brilliant 5.5 out of 6. Owen scored 4.5, and finished joint 5th, whilst Harry scored 3.5 and finished joint 14th. A marvelous result and many congratulations to Seth in particular. _The Christmas Congress always takes place between Christmas and the New Year, making a nice break from all that eating of chocolates, cake, and mince pies ! Congratulatuions to these three, and also to all those that turned up despite the cold weather we have experienced this year. The second weekend of this years LJCC took place between Christmas and New Year, where we had Marcus Rose and Owen Robinson both playing in the Under 12 Major section, finishing with 5 pts and 3 pts respectively. Well done to both players. 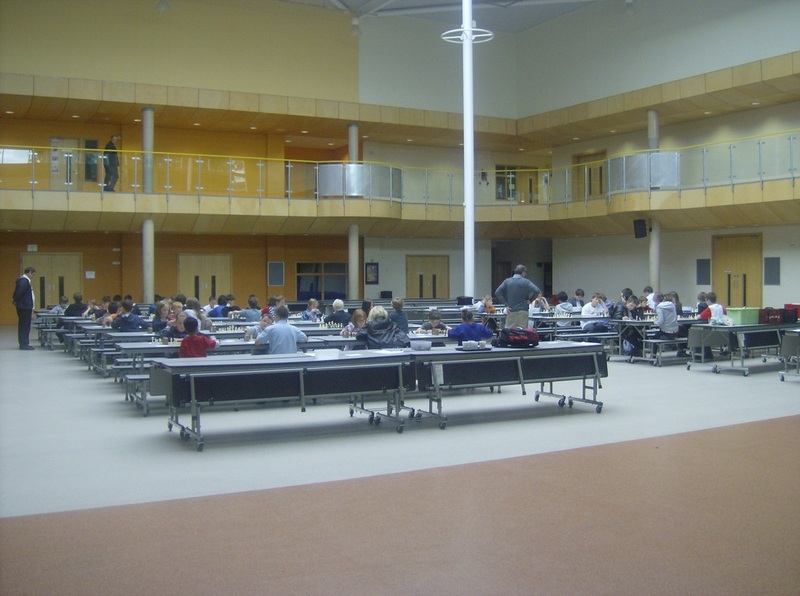 The overall results and cross tables can be found by clicking here. I am very pleased to say that the NSCA came away with overall wins in both competitions, winning the Rapidplay 12pts to 4pts (Alex and William both scoring full points), and the Blitz 10.5pts to 5.5pts (with Marcus the only undefeated player from both teams) A very successful day for all concerned and well done to all the players - you did us proud ! _This prestitigious competition takes place over two weekends depending on which age group players are in. Seth Tsang was the counties sole representative in the under 10 competition, where he had a very tough draw, coming up against the England player Matthew Wadsworth in round 2 of this years Major section. Seth finished with 2 pts. Northants was also represented in the Under 14 minor section by Henry Lambley, who also scored 2 pts. Well done to both players. The overall results and cross tables can be found by clicking here. _Whilst Seth and Henry were battling it out down south, up north in Liverpool William Knight and Marcus Rose were both playing in the Midlands Under 14 team against teams from The North, Scotland, and Wales - well done to both players for being picked to represent our part of the country. In the under 10 section James Virtue got oh so close to qualification with 3 out of 6. Meanwhile, in the two day Annual Congress Marcus Rose scored 3 out of 5 in the Minor Section, making him the joint top Junior within that section of the competition. _Northants continued to give a good account for themselves in this seasons East Midlands Grand Prix in Nottingham. Well done to all these players and good luck if you are going to Day 3 of the Grand Prix which takes place on 27th February 2010.
and Daniel Lambley scored 1.5 in the under 12 section. Their day was not helped by an unfortunate tyre blow out on the way! For result details via the Berkshire Chess website click here. 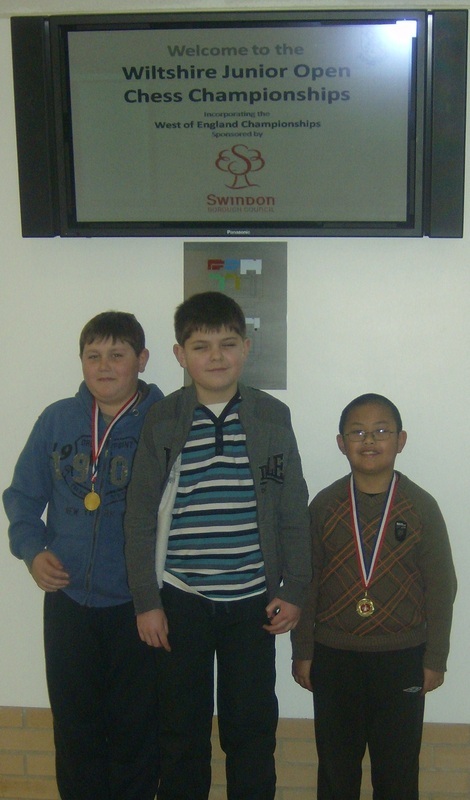 On the same day Seth Tsang, and Thomas and Connor Arthurs went on their travels, this time to Compton in Berkshire, where Seth scored 3.5 and Thomas 2.5 in the under 12 section, and Connor also managed 2.5 in the under 8 section. _On 8th November 3 county players travelled to Magdalene College School in Oxford to take part in their Junior Chess Tournament. Seth Tsang had a great result, scoring a perfect 6 in the under 10 section. Thomas and Connor Arthurs also played, with Thomas scoring 3 in the under 12 section, and Connor 1.5 in the under 8 section. 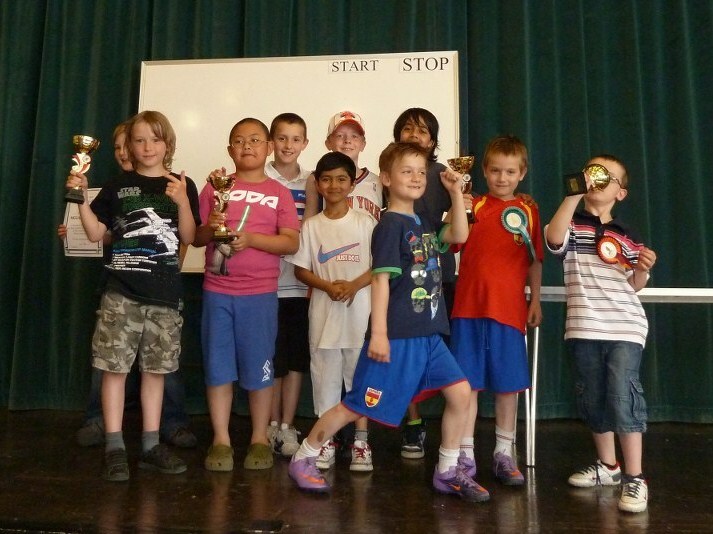 For result details via the Oxfordshire Chess website click here. _Northants had a very good showing at the first day of this seasons East Midlands Grand Prix in Nottingham. In the under 14 section William Knight scored 4.5, whilst in the under 12 section Owen Robinson scored 4, very narrowly missing out on another point when his clock ran out just as he was going to win. and Elliott Reed scored 3. A very good outing by all these players, and congratulations every one of you for playing so well at this tough competition. Day 2 of the Grand Prix takes place on 5th December. __The 30th Junior Chess Congress at Unity was another success, this year with the added bonus of an after presentation raffle which proved very popular - many thanks to everybody for their support. Those players qualifying for a place in the county squad for this season will receive their letters of invitation in the coming weeks. 6 players from the County attended the Thetford Rapidplay championships on 19th September. William Knight and Alex Fisher entered the under 15 category, with William scoring 4 out of 6, and Alex scoring 3. The tournament was another success for the Thetford Youth & Community Chess Club, this time involving a group of players from Poland as well as the usual group from Holland. Here you can see the Northants contingent.